The Weekend Gourmet: Special Announcement: I'm This Month's Gourmet Garden Guest Chef! Special Announcement: I'm This Month's Gourmet Garden Guest Chef! I have some very exciting news to share with y'all today. This month, I'm Gourmet Garden's featured Guest Chef! 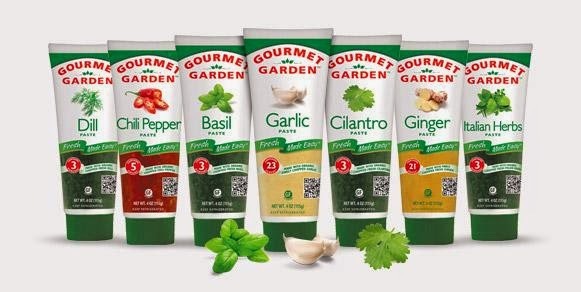 If you're not familiar with Gourmet Garden, they're a fabulous line of refrigerated herbs and spices. I love using this product in my recipes, because the convenient squeeze tubes let me use as much or as little of an herb as I need...with no chopping or waste. Each tube contains organic herbs that have been washed, chopped, and blended. Each tube lasts for several weeks in the fridge, and they flavor is fresh and vibrant! The handy tubes save me a ton of time in the kitchen too...simply squeeze in just the amount of the herb that you need, and you're good to go. For my recipe, I focused on a quick-cook dish that's perfect for warm-weather al fresco dining. 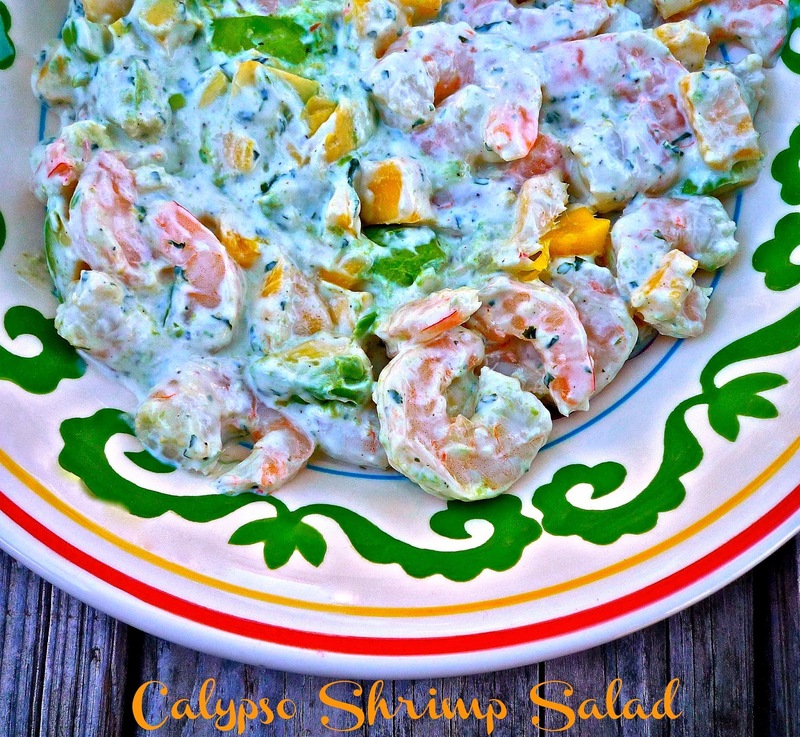 My Calypso Shrimp Salad is a snap to whip up, and it's ready to eat in about 30 minutes. Boiled shrimp, creamy avocado, and sweet mango are tossed in a creamy dressing that's flavored with Gourmet Garden ginger, garlic, and cilantro. This dish is simple enough to serve with salad greens or on a bun for a busy weeknight dinner, but it's elegant enough to serve to company. After you get the recipe for this delicious salad, be sure to read a little more about me on the Guest Chef page. Disclosure: Gourmet Garden provided me with a cooler of their herbs and spices to facilitate recipe development. All opinions expressed are solely mine.